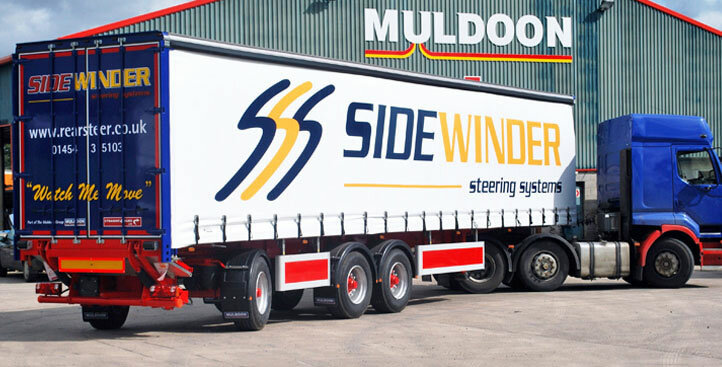 The award winning lightweight Sidewinder Positive Rear Steer System is a hydraulic steer system which has been one of our most successful developments. This fully patented system vastly improves manoeuvrability and tyre wear amongst a host of other advantages for articulated trailers. 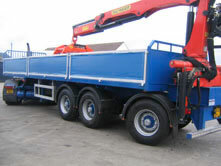 The system is available in either a mechanical or hydraulic version and can be adapted to suit many applications. 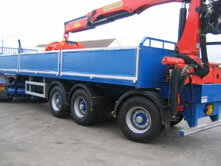 The steering system allows trailers to turn in very small spaces, the trailer follows the same line as the tractor unit around corners, winding roads etc. 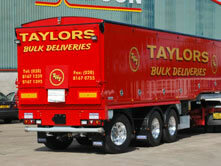 Areas and yards which were previously inaccessible with a large trailer and needed a small capacity vehicle to make the deliveries can now be easily accessed. 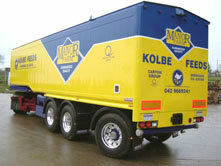 More recently, the system has become very popular for use in trailers used in urban areas. 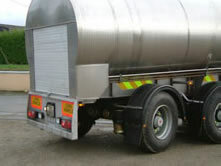 Inner city areas which were previously inaccessible with large trailers are now easily negotiated with Sidewinder giving a greater payload per delivery.